On Oct. 9, 2001, a C-2A Greyhound COD (Carrier On board Delivery) plane carrying Argentine dignitaries aboard experienced a mishap during a trap landing on the USS Nimitz: the left leg of the main landing gear went overboard and the aircraft almost fell in the ocean. The PLAT (Pilot Landing Aid Television) footage clearly shows the pilot struggling to properly align the aircraft to the flight deck from the start of the final approach. 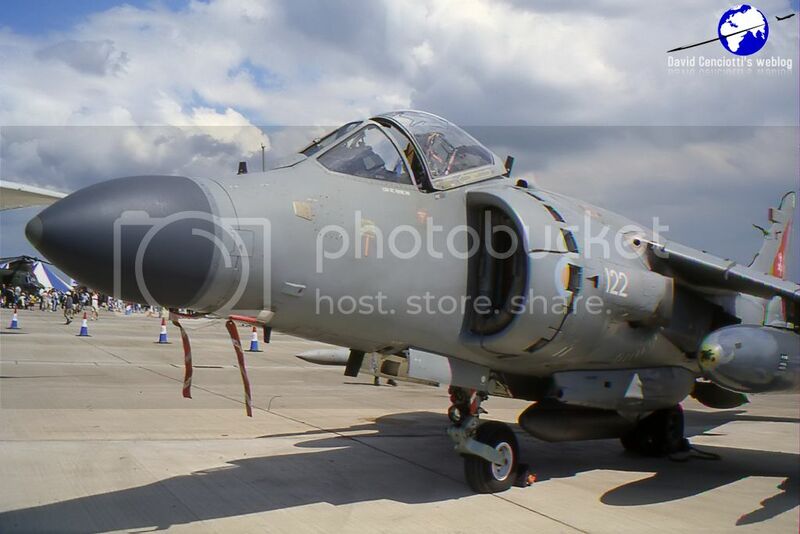 A series of corrections, with a hard one right before touched down caused the aircraft to veer off the flight deck. 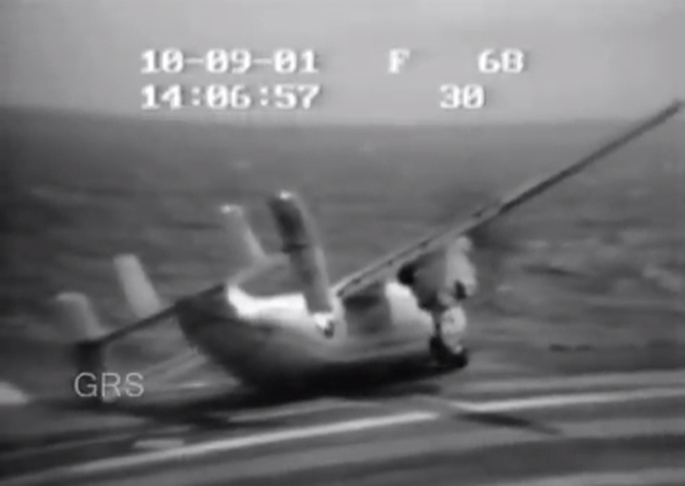 Fortunately, the C-2 got one of the wires and was able to come to a stop before falling overboard. Here’s a video of the mishap (click this link as the video can’t be embedded out of Youtube). H/T to @Alert5 for the link to the YT video.